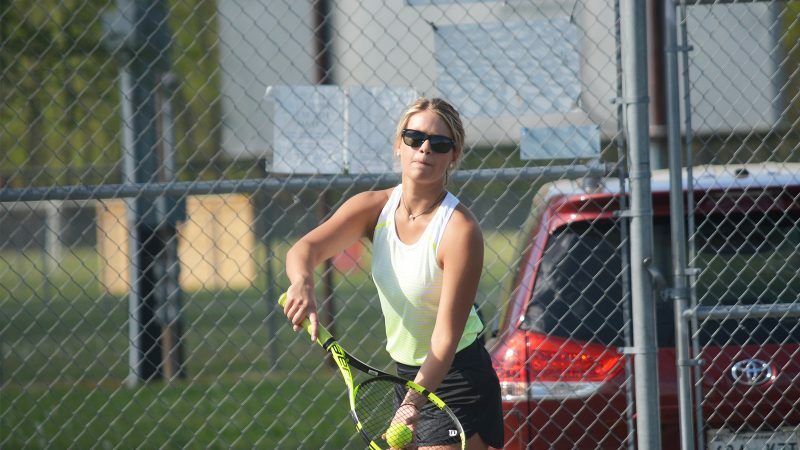 Dayton, TN — The Rhea County High School tennis teams continue their stellar play this year with win vs Soddy Daisy at Lil Andrews courts in Dayton on April 3rd. The Eagles and Lady Eagles won 9-0 on the day. The win ran the Lady Eagles record to 7-0(4-0 in district) and Eagles record went to 6-1. Eagles scores: Kyle Shaver 8-1, Brandon Newell 8-0, Brody Murphy 8-0, Bradley Clark 8-1, Garrett Walker 8-0, Coby Crump 8-5. Doubles: Shaver/Newell 8-0, Murphy/Clark 8-1, Walker/Crump 8-4.